We are hugely fortunate to have a host of different payment options available to use when it comes to buying apps or games for our Android devices. Consumers tend to have different preferences in terms of how they purchase various items and there is a real feeling that ore and more companies are looking to meet this range of needs. 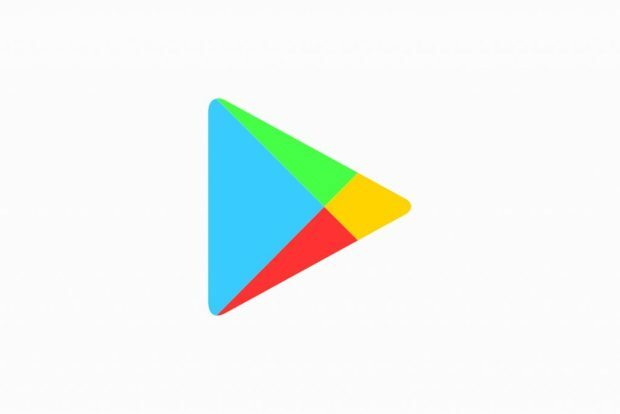 With this in mind, it is particularly interesting to see the announcement of a new partnership between Google and Paysafe which will see the latter’s Paysafecard accepted as a payment method on the Google Play store. For the uninitiated, Paysafecard is a prepaid service, which means that customers can buy one of the cards – which are available in a range of amounts – and use it to shop online at a range of different websites. It is viewed by some as a payment option which will appeal to those who perhaps do not have bank cards, online banking or simply do not feel secure entering account details into websites. Udo Muller, the CEO of Paysafecard, described the partnership with Google as “a significant milestone” in the company’s history and it certainly appears to be another major moment for the business. Around one million people a year in Poland use Paysafecard, while it is also accepted by a range of companies across a number of different industries. Web service providers like hosting company Blazing Fast and CloneDVD have embraced it, while, in iGaming, the online casino site Betway also makes use of it. It is also even used by the popular freelance work site PeoplePerHour. Of course, Paysafecard is just the latest in range of new payment methods to be adopted by consumers and accepted by many businesses in recent years. Arguably the biggest name in online payments for many years has been PayPal, which first launched in October 1999 as a service which offered people the chance to make email payments between each other. The company was then acquired by eBay for $1.5 billion in 2002 and has gone on to develop a range of innovations, from offering text payments to creating the first iPhone payment app in 2008. In more recent times we have also seen the emergence of rival services such as Apple Pay, which allows consumers to make payments with their iPhone or other related devices, and Skrill, which has a reputation for offering low rates on money transfers from country to country. Furthermore, the rise of cryptocurrencies reached a new high at the end of last year when the value of Bitcoin reached record levels. As such, the number of businesses also looking to adopt these payment methods has increased in recent years, with the likes of Microsoft, Expedia and even Subway allowing consumers to use bitcoin to buy products and services – and sandwiches. According to research into the global online payment methods industry released earlier this year, the use of alternative ways to pay is only likely to increase in the coming years. A study by TSYS found that emerging payment options were particularly being accepted by consumers in the 25 to 34 age demographic, with many of those polled using such new solutions for payments both in-store and online. Another report even predicted that e-Wallets like PayPal and Alipay could be responsible for half of online transactions by 2021, while the share of credit and debit card payments is expected to drop to less than a quarter during the same period. Interestingly the same research also hinted at the potential benefits that such services could offer in some regions. Eastern Europe and the Middle East were found to be areas where online shoppers still prefer cash on delivery as a payment method, primarily due to concerns regarding online security or consumers not having the ability to pay directly via the internet. It is clear that a payment method such as Paysafecard could have a role in addressing this issue, as it may help to give such people reassurance that their money is safe and also ensure they have the means to make an online payment. Whether you’re looking to buy a new RPG game or planning to access additional items for a title with a city building theme, it is safe to say you are not short of options when it comes to making payments. The adoption of Paysafecard by Google Play is an interesting moment and it will be fascinating to see whether it ultimately helps more people access apps, services and games or if established consumers also choose to turn to it too. The service is yet another example of how the internet has transformed our lives.